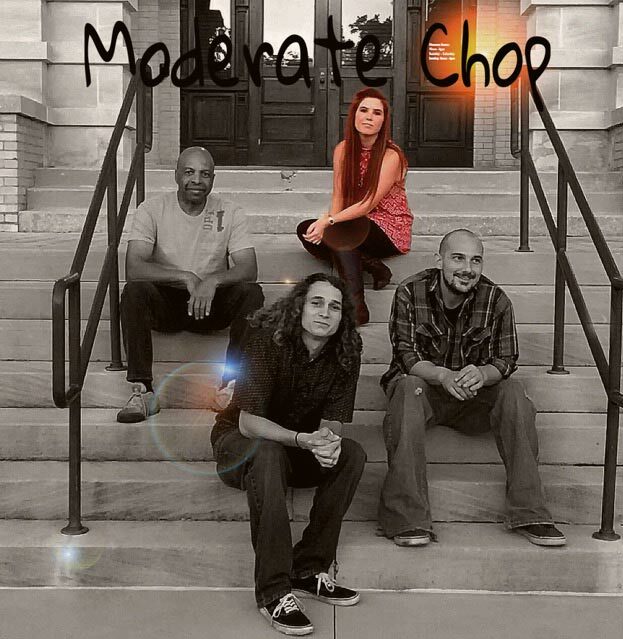 Moderate Chop is a Blues Rock and Beach Groove band from Pensacola Beach , Fl. They play Blues, Classic Rock , R&B, Soul covers as well as 15+ original songs . They will be playing at Bands on the Beach on Tuesday, June 19 from 7-9 p.m. at Gulfside Pavilion. All members come from different musical backgrounds causing a melting pot of great sound. Vocalist Adrian Lenee is a classically trained singer exploding her way into the other side of the music business with her incredible range and talent. Josh Strickland (guitar/vocals) hails from the Blues playing family of the “Curles” (Doug Curle Blues Band, Curle Brothers Band). Matt (bass/vocals) brings an alternative sound into the band with an original and unorthodox take on playing the bass. Nat Williams (drums/vocals) comes from the New York Reggae scene, and provides a firm heartbeat for this Pensacola Jam band.